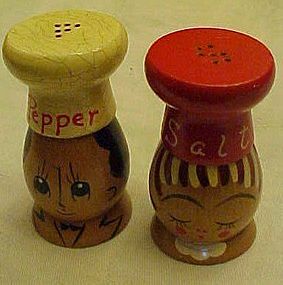 Neat vintage Salt and Pepper shakers are chefs made of wood.Hand painted and varnished. Measures 3" tall. Hats screw off to fill. Hand painted. Paint is nice, with some crazing on the white chef hat.